Key difference: Both thesis and dissertation are used in the context of colleges and universities. The singular primary difference between the two is that a thesis includes primary research, in fact it depends on it, whereas a dissertation depends primarily on secondary research. Nobody said that getting an education would be easy; getting a degree is even harder. 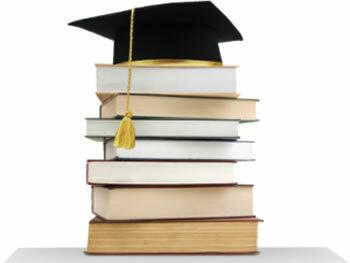 In order for the completion of a course or a degree, one might be required to write a thesis or dissertation. However, what is the difference between the two? However, both thesis and dissertation are used in the context of colleges and universities. 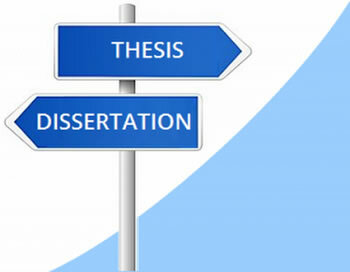 In some contexts, a thesis and dissertation are distinguished by applying the term thesis to bachelor's or master's course, whereas a dissertation to a doctorate course. However, in some other contexts, the terms are used in reverse, with v being used in the context of a bachelor's or master's course and a thesis for a doctorate course. Other differentiates between the two depending on the type of content it has. Such as a Thesis is any essay or document that involves proving a statement or theory and/or involves personal research. A differentiation, on the other hand, may refer to any essay in which one supports or defends a point of view, i.e. discussion or debate of sorts. However, it can be said that singular primary difference between the two is that a thesis includes primary research, in fact it depends on it, whereas a dissertation depends primarily on secondary research. Still, in short it can be said the terms can be used interchangeably for the most part. In fact, the terms, thesis and dissertation may also be used out of a context of a degree, such as referring to an essay, treatise or similar work. Hence, the best would to not get hung up on labels and rather note what is written in the syllabus, and what does the professor require from the document, whatever its name is. A long essay on a particular subject, especially one written for a university degree or diploma. Late Middle English (in thesis (sense 3)): via late Latin from Greek, literally ‘placing, a proposition’, from the root of tithenai ‘to place’. Early 17th century (in the sense ‘discussion, debate’): from Latin dissertatio(n-), from dissertare ‘continue to discuss’, from disserere ‘examine, discuss’. Title page, an abstract, a table of contents, comprising the various chapters (e.g., introduction, literature review, methodology, results, discussion), and a bibliography or (more usually) a references section. Thanks for sharing such a nice and well-written article. Now a day it really hard to find such clean information. Thanks for sharing with us keep posting.